(CNS): The independent member for North Side asked government who benefits from its budget when he turned to the Latin phrase ‘cui bono’ to help him theme his response to the premier’s address. Ezzard Miller said he could not find even a glimmer of hope for Cayman or Caymanians in the budget so it was not the people who were benefitting and certainly not his constituents. Miller said government’s claim of a $12million surplus was misleading the public because once the losses for statutory authorities were included the surplus was $3.6milllion. He also warned government not to pin its “hopes of prosperity on Joe Imparato and his mega quarry” as he pointed to its failure to cut spending. Speaking in the Legislative Assembly on Wednesday evening he pointed out that the premier’s budget address contradicted the governor’s Throne Speech and wondered how the two could have been approved by the same government. Miller said he had found at least 32 different entries in the budget presentation that would increase costs to government but not a single statement anywhere about cutting back on expenditure. Aside from a one line reference in the Throne Speech last month regarding the civil service review, Miller said he could find no reductions in money coming out of the public purse, despite an indication that at least $17 million had been identified in this review. The outspoken member wondered whether government had been using both accrual and cash balance accounting methods to make this year’s budget balance. Of the many contradictions the member said were in the Throne Speech and the budget he said the stated goal of reducing local unemployment while revealing a twenty-five percent increase in revenue from work permits was one ofthe most curious. The former chair of the Public Accounts Committee also asked what was happening about government’s failure to finish the outstanding backlog of accounts since there was no mention of it in the budget. He noted that every CFO in government had given a commitment when PAC last met to get them up to date and Miller said this was an issue government had to address. Turning his attention to the major developments proposed by government, he pointed to another contradiction when he said the governor had announced plans for a waste-to-energy facility only for that to be abandoned under the mega deal with Dart, which would now be providing government with an eco-waste park in the Midland Acre area of Bodden Town. He questioned what was happening with plans for the George Town cruise facilities now government had walked away from the deal with GLF/Royal port in favour of a Chinese company. He said that CHEC was currently being investigated in Jamaica in connection with the charge of over US$9 million for the construction of a road which was less than a mile long and said government needed to look more carefully at who it was doing business with. 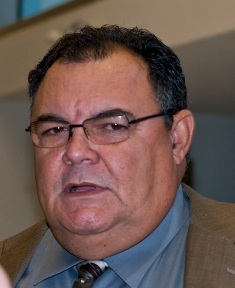 Miller raised his concerns about the government’s decision to enter into a major agreement with Dart Cayman as no company existed by that name. He said he hoped government’s new alliance was not with the "vulture fund magnate Ken Dart, whom Bill Clinton had described as one of the most dangerous people in the world,” and added that the UK had passed a legislation last year prohibiting the trading of these types of funds. TheNorth Side representative said he was eagerly awaiting government’s decision not to go ahead with the “mega quarry” as proposed by Joe Imparato and referred to in the Throne Speech. Miller said he had collected a significant number of signatures in his district and even more in the neighbouring district of East End. “There is substantial opposition to this proposal and I hope government will be minded to tell the developer of the project in East End that it won’t be going forward,” he said. Miller said he had serious concerns about government entering into business deals with developers such as Imparato and Dart because of the reasons why the two men had both left their own countries. “There needs to be some due diligence,” he said as he called on the people of Cayman to ask questions about and Google the two developers. He said he had already had constituents raise very real concerns about the unfair competition created by big businesses dominating the local economy and that the new deal with Dart would only make things worse without the safety net of a fair trade commission as he had suggested in a private members motion. “It is very risky when we allow big business to get control of local businesses,” he said, noting that Dart already controlled the wholesale liquor business and was very close to controlling the duty free business. “We are putting for too many eggs in that basket, “ Miller added. As he wound up his contribution to the debate, Miller said he had found this year’s financials particularly difficult to “navigate” and had found no benefits for the Caymanian people. As a result he would not be supporting government’s 2011/12 budget because, he said, there were too many inconsistencies and contradictions. (NPR): Federal budget cuts are threatening to leave the US without some critical satellites, officials say, and that could mean less accurate warnings about events like tornadoes and blizzards. In particular, officials at the National Oceanic and Atmospheric Administration are concerned about satellites that orbit over the earth's poles rather than remaining over a fixed spot along the equator. These satellites are "the backbone" of any forecast beyond a couple of days, says Kathryn Sullivan, assistant secretary of commerce for environmental observation and prediction, and NOAA's deputy administrator. 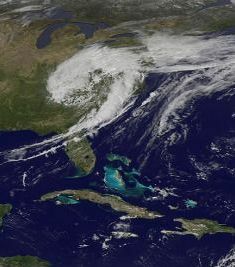 It was data from polar satellites that alerted forecasters to the risk of tornadoes in Alabama and Mississippi back in April, Sullivan says. "With the polar satellites currently in place we were able to give those communities five days' heads up," she says. But that level of precision could diminish in the next few years, Sullivan says. One important NOAA satellite in a polar orbit will reach the end of its expected life around 2016. And its replacement has been delayed by a continuing resolution passed by Congress that limits the agency's ability to pursue its new Joint Polar Satellite System. Sullivan says that means there could be more than a year when the nation is lacking a crucial eye in the sky. “The premier says he constantly worries about the declining population. We call on him and his government to stop tinkering around the edges of the current immigration legislation and bring a bill to this House which will abandon the rollover policy, which he instituted 8 years ago,in favour of the more equitable, socially and economically acceptable alternative which I have just outlined on behalf of the opposition,” McLaughlin added, stating that he believed addressing immigration would help local businesses through the present dire economic times. The Special Olympics start next weekend and the Cayman team will be training in Crete before the games start on Saturday 25 June. Mark Scotland the sports minister wished the athletes well and called on people to follow their progress. “The Special Olympics is arguably one of this year’s biggest international sporting events and we are proud of the delegation representing us,” he said. “Our Special Olympians have worked hard all year, preparing for the Summer Games. Moreover, they have already proven that they have what it takes. We therefore hope that each of them will reach – and exceed – their personal goals,” the Minister concluded. For more information and to follow results go to http://www.athens2011.org/en/. The Special Olympics Summer Games will take place between 25 June and 4 July. In the classroom session he covered areas such as risk taking, driving with peers as Passengers, being on the road late at night, and using phones while driving. National Roads Authority (NRA)’s Streetskill representative Marion Pandohie also told the driving students how to safely use Cayman’s roundabouts and Chief Inspector Angelique Howell of the RCIPSwho has voiced here concerns frequently about standards of driving pointed out that four people have already been killed on the roads this year. This she said has prompted police to ramp up our public education efforts. 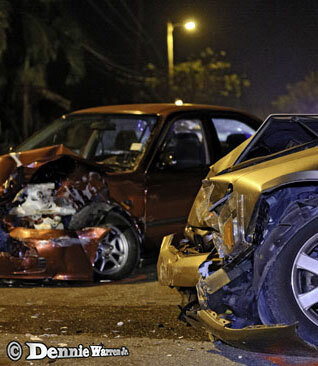 “The rate of road accidents and deaths in Cayman is simply unacceptable, which is why we need to focus on prevention and education,” Howell added. Streetskill is the public education campaign of the new multi-agency Cayman Islands National Road Safety Strategy which aims to reduce road fatalities and injuries. Members are Public Works, NRA, the RCIPS, Vehicle and Drivers’ Licensing and the Cayman Islands Road Safety Advisory Council. “We want everyone to take individual responsibility for road safety. Our call to action is simple: Don’t wait for disaster to happen. Talk to your family, friends and children about driving for life,” Allen said. 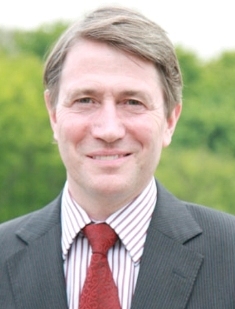 (CNS): The British Government has chosen Damian Roderic (Ric) Todd, who once worked for MI6 as the new governor of the Turks and Caicos Islands. The fifty one year old official also worked as a finance director in the Foreign and Commonwealth Office and spent five years with the UK’s Treasury department. Previous overseas postings have included South Africa, Germany, Slovakia and Poland where he is currently posted. Todd will assume his new role, directly ruling the UK Caribbean territory, in September when Gordon Wetherell's three-year contract ends. Todd said he was delighted on the appointment and pointed out how much it differed from his previous experience. “It is not only a fascinating new job but also different from postings I have done before. I am looking forward to getting to know the people of the Islands and working with them on all the issues which we face," he said. 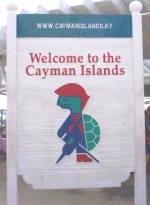 The UK imposed direct rule on the Turks and Caicos Islands in the summer of 2009 when an inquiry found evidence of government corruption and incompetence. Local administration was suspended for up to two years. The UK is currently in the process of imposing a new constitution on the islands which has met with considerable internal opposition. In recent months the UK administrators have failed to improve the public finances and government offices were recently disconnected by the islands private power company for not paying the light bill. (CNS): According to Public Health statistics, there are 41 people affected by sickle cell disease in the Cayman Islands. It is a chronic disease, which is managed by treating the symptoms and helping those afflicted to cope. Screening started locally in the early 1970s for high risk families. Since the 1980s all students are tested before starting school and in 1997 routine newborn screening began. “This has greatly helped in early identification of sickle cell trait and disease – which is important so people can access theappropriate counselling and treatment available,” said the genetics coordinator, Joy Merren, Sunday, as Cayman observed World Sickle Cell Disease Day (19 June) in an effort to raise awareness about the world’s most common genetic disorder. Cayman has a Sickle Cell Support Group that meets around three to four a year offering support to patients and families as they share experiences in coping with sickle cell disease. “Also included are educational presentations on awareness and management of the disease,” Merren added. Sickle cell disease is an inherited chronic disorder that affects red blood cells. It has a worldwide distribution, and is one of the most common genetic disorders. Everyone has two genes that make haemoglobin. Normal red blood cells contain haemoglobin A, a protein that helps red blood cells carry oxygen around the body. With sickle cell there is a different form of protein, haemoglobin S. With sickle cell disease, both genes are affected, causing severe symptoms. Normal red blood cells are round, flat and very flexible. However, when the oxygen comes out of the red blood cells of sickle cell disease, the cell becomes stiff and takes on the shape of a sickle – hence, the name. The sickle cells clump together, are not able to squeeze through the small blood vessels, and so the sickle cells get destroyed more quickly. 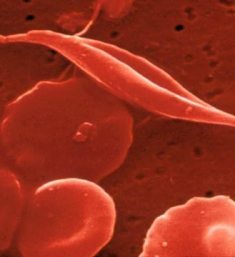 A normal red blood cell lives approximately 120 days but a sickle cell may only live 11 or 12 days. When only one gene is affected, it is called sickle cell trait, or persons are called sickle cell carriers. Having sickle cell trait means that the person stays healthy under normal circumstances, and the main significance is that it can be passed on to one’s children. However, under certain extreme circumstances, a person with the trait may experience complications as if having sickle cell disease. People who have just the trait cannot later develop the disease. A blood test can be done to determine if a person has the trait. If a man and a woman are both sickle cell carriers, with each pregnancy, there is a 25% chance of the child having the disease, a 25% chance of the child being completely free from sickle cell and a 50% chance of the child having the sickle cell trait, i.e., being a carrier. If only one parent is a carrier, then there is a 50% chance of the child having the trait and a 50% chance of the child being completely free of sickle and no chance of the child having the disease. Sickle Cell causes anaemia, jaundice and gallstones due to rapid breakdown of the red blood cells as well as painful swelling of fingers and toes in babies and painful attacks of joints, back and abdomen as there may be damage to the bone marrow. Infections may develop, such as pneumonia and leg ulcers due to less oxygen to the lower legs. The next meeting of the local sickle cell group is planned for Tuesday, 21 June 2011 at 7:30 p.m. in the Public Health Waiting Room at the Cayman Islands Health Services Authority and is open to the public. For further information, please contact Joy Merren on 244-2630 at thePublic Health Department.